Remember when the coolest brag for a gadget was that it was “credit card size”? Those times are back. 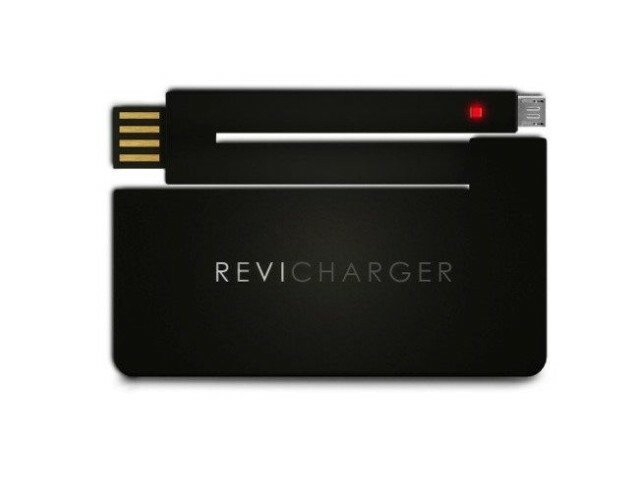 The Revi Charger is a credit card-size iPhone charger with a built-in backup battery, and could really be just the thing in an emergency. The Revi comes in two sizes. The 2.4mm 550mAh model is the slimmest, but will only provide a third of a charge to an iPhone, or thereabouts. The 1440mAh version is 7mm thick, which is still totally pocketable, and gives closer to a full charge. Both models come with either Lightning or Micro-USB, which is attached by a clever, flexible, snaking cable on the top edge. Prices? $25 or $30, depending on capacity and size.